On Saturday, October 14th, the East Texas Down Syndrome Group will celebrate their 16th Annual Buddy Walk® of East Texas. With a goal of raising $65,000 this year, the ETDSG relies on the leadership of their team captains to assist with the fundraising efforts. We had the pleasure of chatting with Kay and Tommy Stout, captains of Team Riley, to learn more about the event. 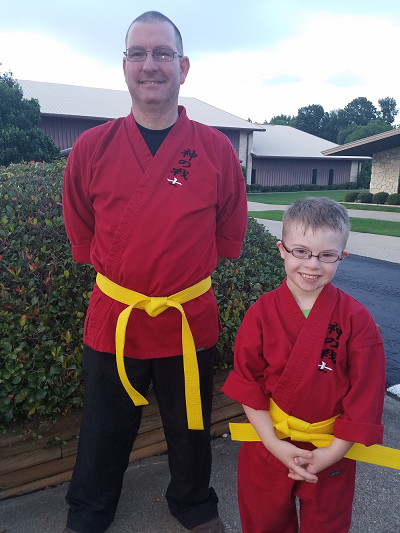 To invite people to join their team, the Stouts create a fundraising profile on the ETDSG’s Stride page and then use their Facebook pages to spread the word about the event. Their most successful fundraising strategy has been sharing their team information on their Facebook pages, as this has allowed them to reach friends that they might not otherwise have thought to talk to about the walk. They have even seen members of Team Riley share the information to their own family and friends, resulting in additional support. The Stouts also use word of mouth to let neighbors, co-workers, and friends who are not on Facebook know of the event. 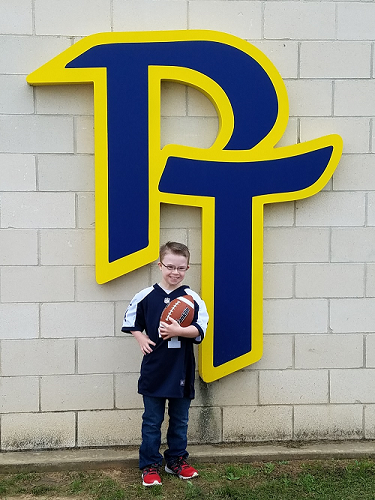 This year, Riley is the 2017 Goodwill Ambassador for the ETDSG Buddy Walk®, and the Stouts are hoping that this honor will encourage more family and friends to support their team and turn out for the event. The Stouts’ favorite memory from the walks is when the firemen pass out medals to the individuals with Down syndrome as they finish the event: “Riley’s face lights up every year as that medal is placed around his neck.” We can’t wait to see photos from this year’s event! This post is a part of our ongoing Walk Team Spotlight blog series, which profiles Down syndrome walk teams sharing their unique backstories, as well as fundraising, recruitment and networking tips! Check back for future posts in this series coming soon. Submit your story ideas to: support@ds-connex.org.